This wrought iron post has rusted and de-laminated due to moisture entering between the layers of iron and causing a very aggressive form of corrosion known as crevice corrosion. 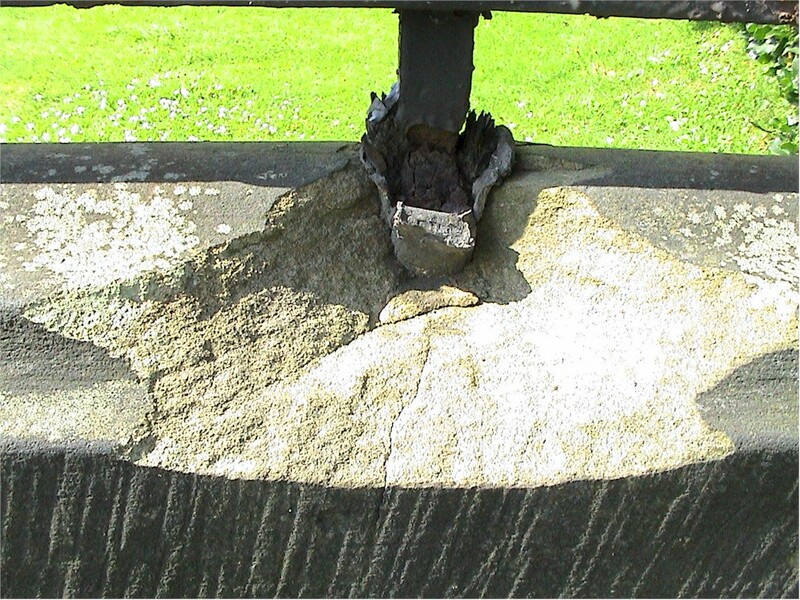 The developing rust has exerted so much outward pressure that not only has the lead used to mount the post been squeezed upwards but the stone has been fractured causing a large section to flake away. This collateral damage required expensive replacement of the natural stone copings as well as replacement of the rusted wrought iron. This form of corrosion is not possible with pure iron.